Can Wizzley Articles Qualify For "Fair or Editorial Use"? Don't be fooled! Claiming "fair or editorial use" will not work in all cases. Is Wizzley, and other revenue-sharing sites like it, commercial by its very nature? The law is trying to catch up with the Internet phenomenon, which exploded in its reach and the extent to which it has become part of our lives in only the past 25 years or so. With more and more people trying to make a living online, whether in the fields of writing, art or marketing, the theft of intellectual properties has grown to proportions never before seen. Copyright protected writing and artwork, especially photos and graphic images, are stolen and republished as if they are the product of the thief on the one hand, or used without paying royalties to the copyright holder, on the other hand, whether or not credit is attributed to him or her. Sometimes the theft is purposeful and sometimes it is naive. Regardless of this, once the theft has been discovered and the copyright holder asks for removal of the offending work/s and the misuser complies, it will generally end at this point. However, the apparent misuse may actually fall under the "fair use" doctrine and so removal is not necessary, perhaps not even desirable. Sometimes people find themselves in a photo appearing in an article online and they did not give permission for their likenesses to be used. The author may claim editorial use and insist he or she did no wrong. Unfortunately, the terms "fair use" and "editorial use" are sometimes inappropriately applied and at other times, when it could be justifiable the individual is not sufficiently aware of the definitions to be able to justify his or her use of the materials in question. This article concerns only the issue of photos and graphic images and will explore whether or not wizzley articles can fall under the "fair use" or "editorial use" doctrines and, therefore, justify the use of other people's photos and/or graphics without paying royalties (while still, of course, giving appropriate credit to the copyright holder) or the use of photos without model or property releases. 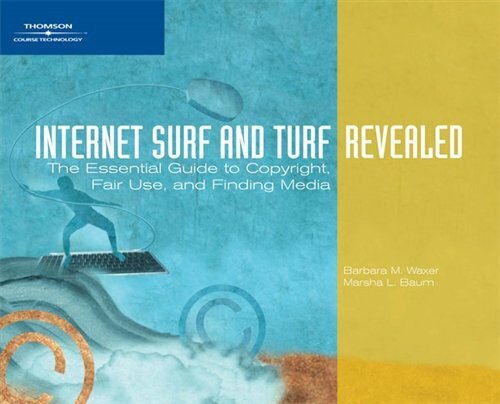 It may be possible today for authors to claim ignorance of the exact meaning of "fair use" or to claim that they thought a particular image was in the public domain. This argument will not satisfy courts for much longer as Internet users grow more sophisticated and as the Internet becomes as natural to us as reading the paper or watching television (if it is not already for a large portion of the population). However, even today, someone who earns a living (or is trying to) with their online work cannot as easily claim ignorance as someone who just came online to write a blog about their latest family trip. Even the latter will, one day, be expected to understand issues of plagiarism and theft of intellectual properties. For those of us writing on Wizzley, it is no longer reasonable to claim we don't know about the proper way to use images in our articles. If we don't know, we should! We should know how to check if an image is copyright protected and what to do if it is and yet we want to use it. We should know how to find images in the public domain. And we should know that often the best approach is to use our own photos or graphic materials, if we can. It is highly likely that many online authors who use their own photographs to accompany articles are not aware of the laws governing publication of photos containing recognizable people or photos of copyright buildings or statues and other pieces of art without signed release forms.The courts are aware that this is a new area for many people, and photographers who have not been trained in professional photography programs may be completely unaware that there are laws with which they must become familiar. Therefore, there may be some lenience shown in some cases. This situation, however, will not last forever and it is important to raise awareness of the problems involved in using people's likenesses without their permission or in failing to get signed property releases to photograph buildings and sculptures protected by copyright. It is legal to use other people's images and to use your own photos of people or of copyright protected artwork and buildings without their permission if the use to which you put these images meets certain criteria. There are some who attempt to respond to a civil suit that has been filed against them by using either of these terms to justify their actions. Using other people's images falls under the Fair Use doctrine and using your own photos of people or copyright protected building and sculptures falls under Editorial Use. Editorial use is defined on stock photo websites, such as Getty, as covering noncommercial works that are newsworthy, educational or of public interest; they cannot be used to sell something. There have been some court cases that demonstrate application of the above four points related to Fair Use Doctrine to the use of copyright protected photographs in written materials and even in the creation of new works of art. Some of these are described on the Columbia University Library website. I will briefly describe the nature of the judgements in order to be able to relate them to our situation here on Wizzley and I suggest you click the link above to see the original article. Point one was considered satisfied if the new work was transformative. This means that the new work was substantially different in purpose, tone, population it appealed to, changed by editing, size, using voice-over, etc from the original. In other words, it had something new to contribute to society. For example, the new work used the copyright protected materials as examples of something being taught, or the new work was a review, criticism or parody of the original work. In one case, photographs from a book were incorporated into a painting and this was considered transformative enough in the eyes of the court. In an example provided on the Stanford University Libraries Website, substantial use of quotes from a speech printed beneath photographs of trees significantly changed the original speech and provided new insights. Point two is supported if the original had already been published and distributed widely, but less so if the original work was creative as opposed to factual. In the case of photographs, this would mean that the original photo was enhanced digitally or significant artistry was applied in the composition, lighting and other aspects of setting up the photo shoot. However, this point was much less important than whether or not the new work was transformative. If the proportion of the original work incorporated into the new work is restricted to the minimum required to satisfy the needs of the new work, then point three is complied with. This can be a large amount or a small amount, depending on the nature of the new work. For example, a professional history of an artist may require a substantial amount of his or her work to be copied in order to demonstrate changes in style, etc. Since this biographic work is transformative, it is considered fair use. But a collage that is made up mostly of another person's work would perhaps stand less a chance of being considered fair use. Point four can be the tipping factor in some cases: does the new work directly compete with the original? If the audience is very different, if the original work sold few copies, then even substantial use of another's work can be accepted by the court as fair use. If, however, the new work will reduce the value of the original work (except in the case of negative reviews and criticism that are legitimate under freedom of speech rules), this would weigh against fair use. It is important to remember that judges are different, with varying sensitivities to the range of arguments and criteria. Therefore you can often not predict how a judgement will come down. What is Fair Use of Photos of People and Buildings Without Model and Property Releases? The stock photo websites refer to this category as "Editorial" use. Editorial use means you are publishing something newsworthy (therefore relevant for a limited length of time and not permanently on the website), informational or educational, that does not promote a specific service or product and where the people are not seen as endorsing any point of view or product. The determination of the distinction between editorial and commercial use is not really clear cut and in this case, judges can rule differently based on their personal opinions, sensitivities and inclinations. The word "commercial" should not be taken to mean that the user makes money from the use. Academic books obviously are sold for money and everyone connected with the production of the book earns money. Yet the academic book is considered educational and fair rule would determine the extent of the freedom to use otherwise unusable materials. Newspapers are obviously sold and provide incomes for anyone connected with their production. "Commercial" refers to advertisements and certain products. Two examples should suffice: First, from the American Society of Media Photographers website: They state that you are probably (sic) safe putting photos of people with no model release on "fine art prints, or even posters," that you are selling, but not on mugs, for instance. Furthermore, in a case discussed on the Stanford University Libraries website, it was determined that a photographer was within his rights to sell his photos of a trademarked building (taken from a public place) on postcards and posters without permission from he trademark owner. Therefore, we can understand that the photographer can forgo the need for model and property releases if he or she is producing a work of art or is using the photo for informational or educational purposes. It should be emphasized, however, that neither the people in the photo nor trademarked buildings or copyright protected sculptures can be humiliated or demeaned in this process if this is not part of legitimate critiques conducted in a respectful manner. How Does Wizzley Fare in This Regard? Wizzley is a place where people are trying to earn a living, or at least to supplement their income. But, then, so is a newspaper. There are clearly articles on the Wizzley site that are strictly sales oriented and that could be considered advertisements or promotional pieces - in other words, are commercial articles. There are also articles on the site that are educational, informational, or provide critiques or reviews of tourist sites, movies, books, etc and can therefore be considered editorial. I think that, until now, the balance has been more toward the latter and that is an important point for Wizzley owners to try and maintain. While the owners of this site can decide on any policy that suits them regarding the use of photos and illustrations, there is plenty of room here on Wizzley for the fair use and editorial use of images as long as the author and/or photographer knows the criteria for determining fair/editorial use and makes sure that his or her materials fall under that umbrella. 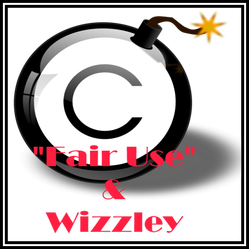 Summary: What Does Fair Use Doctrine and Editorial Use Have to Do With Wizzley? You will find many articles on Wizzley that are written to provide information, to educate the public about current or historical events, about literature, theater, cinema, spirituality, mental and physical health, etc. While there will certainly be advertisements on these pages, authors are most likely to post those that are relevant to the subject of the article, such as books, films, postcards, posters, and other paraphernalia either representing the topic or from which more information can be gleaned. These articles are probably safe from prosecution if the author used copyright protected images or his or her own photos where commercial uses would demand model or property releases. Sometimes use of such materials is unavoidable and given that the law allows such use, it should not be prohibited. However, the author of any particular article needs to bear the responsibility and to ensure that the article does, in fact, fall under the rubric of of either fair use or editorial use. The author cannot, however, bear responsibility for advertisements placed on the page by Wizzley or the advertising service registered with that author (google or chitika). That is not generally a problem, however, in the same way that editorials in the newspaper may share a page with advertisements having nothing to do with the subject of the editorial. It is a matter of proportions and intent. We need to respect copyright protected materials and the individual right to privacy of people we may photograph, but we should not lay blanket prohibitions on the uses of materials that are essential to writing serious articles that contribute something to individuals or society when the law does not insist we do so. You may have strong opinions about what I have written here and I am open to hearing all sides - whether you agree with me or strongly disagree. The topic is still evolving withn the legal systems of many countries and serious debate is important. This is indeed a lengthy piece, with many details. I think it's best to err on the side of caution. I do try to use only OD or CC images whenever I can find one. Thank you for this well done research. As far as I am concerned, although my articles are only educational, I use only PD graphic material and material for which I have bought all the necessary rights. I know (from other sites) even strictly educational material can serve as good resource of money (sometimes earned through pretty complicated schemes), so I will stay on the safe side - including sites which are 100 percent under my control. I understand your point, auto censorship is not a good thing, but law is in my opinion not only about right and wrong, it's about who is stronger as well. This is so informative, thanks so much for sharing. Glad you think so, Mira. I really enjoy the research. I learned a few important things. You always do thorough research and your articles on copyright are much appreciated! Confused about whether or not you can take that photo? Confused about whether or not you can sell it? So was I. Let me help you sort it out.